Mike Carroll Roofing and Building Services have been providing roofing services, replacement fascia & guttering for over 30 years! Mike Carroll Roofing and Building Services is a family run roofing and building business based in Stoke Mandeville, Buckinghamshire. 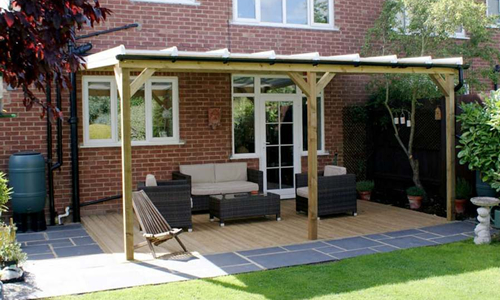 Over the last 30 years we have developed an enviable reputation for quality craftsmanship at competitive prices and all with a professional yet personal approach. 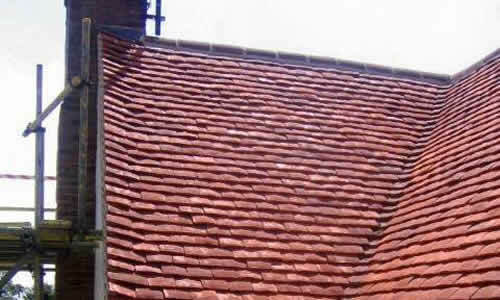 A well maintained roof is essential not only for protecting your property but also maintaining its value. Mike and his team carried out a first class job of replacing our soffits and fascia’s with PVC. The team were very hardworking, extremely pleasant and helpful. The site was always tidy and clean every day. I cannot recommend a more professional team than these to carry out such good work. Thank you Mike and your team. Your crew was exceptional: really polite, efficient, workmanlike and tidy. They certainly know how to work and frankly did not stop keeping up a sparkling pace throughout the job. Very rarely does one come across the perfect mix: but perfect they were. They were in a word “superb”. Please extend our warmest thanks to them. (Just sorry you missed the fillet steak and toasties every morning!) As for the quality of the work and materials they too exceed expectation and we are absolutely delighted with the end product. 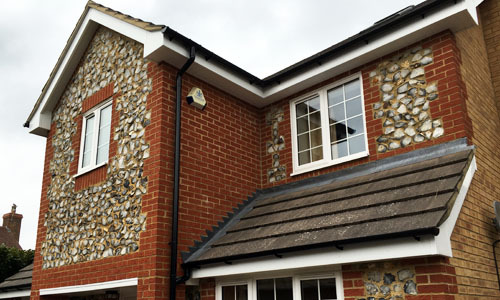 Mike and his team recently replaced all the guttering, soffits and facias on the front of our house – including re-cementing of the several gable edges to the tiling. They made an excellent job, despite being delayed on two days by the heavy rain. Once the facias were removed it was clear that a more extensive replacement than originally planned would be needed. Mike was able to provide a competitive quote and promptly completed the extra work required by re-arranging his schedules. We were very pleased with the result, which is clean, tidy and very smart – a good job well done at a competitive price – thank you Mike and Team! Graham & Sue Barker, Watermead. 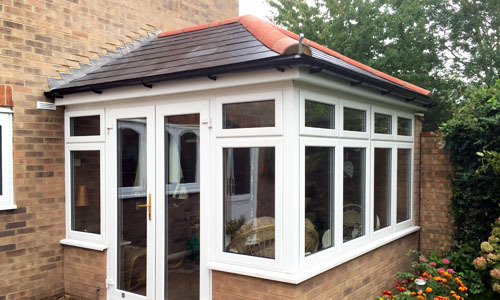 Mike Carroll Roofing made a neat and tidy job of replacing my guttering, fascia and soffits – and fitting a new poly-carbonate roof to my conservatory. Mike’s staff were very helpful and I was kept informed of timescales. Good value for money too. Hi Mike, Many thanks for your e-mail and the fantastic job that your team have done here, and for their polite and professional attitude – they are a real credit to your company. I had my soffits, facia and guttering replaced just before Christmas. The work was carried out without fuss and over the 2 days we hardly knew anything was happening. The guys who did the work were polite and left the garden clean and tidy. Overall it was a first class job at a very competitive price, 10 out of 10. Thank you, a great job carried out by a great team. 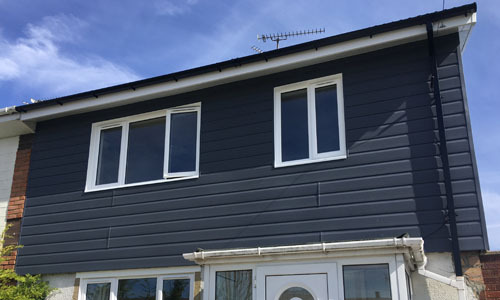 What a transformation, the soffits and guttering makes such a difference, no more painting for the next 30 years!. 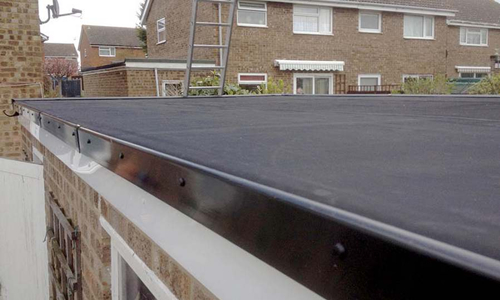 The new rubber roof looks excellent and we would have no hesitation in recommending Mike and his team to carry out flat roof replacement as the process was so simple and tidy (no messy tar or felt). Thank you, a great job carried out by a great team. We needed new guttering, soffits and barge boards and asked Mike Carroll to give us an estimate. Mike is definitely the most professional (as well as one of the nicest) people we have had the pleasure to meet. He came to look at the job very quickly, sent an estimate immediately and the work was started exactly on the day quoted. 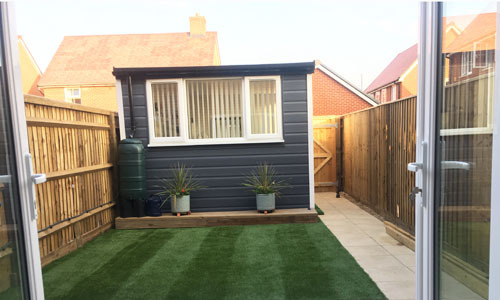 The two fitters he sent to do the job were excellent, they were very pleasant, hard working and tidy, the end result was fantastic – we couldn’t be more pleased and would highly recommend this building contractor to anyone.